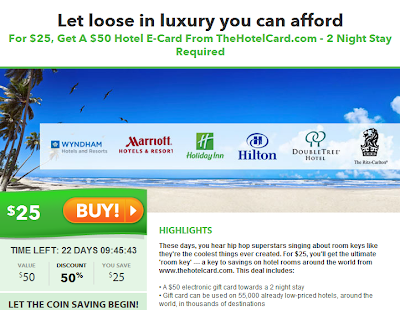 With this E-Card from TheHotelCard.com you will save $25 for a mninimum stay of two days at many hotels. 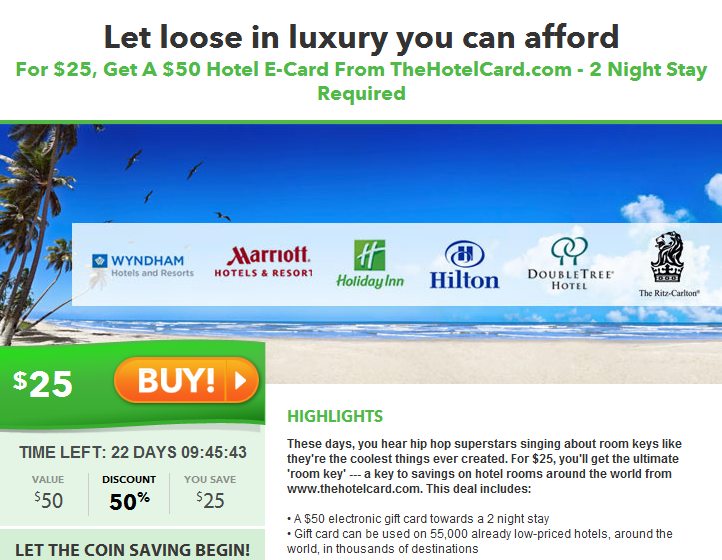 Hotels include Wyndham Hotel & Resorts, The Marriot, Holiday Inn, Hilton, DoubleTree & The Ritz Carlton. For an added bonus, you can go through Bigcrumbs for up to 12%/$ off your purchase.